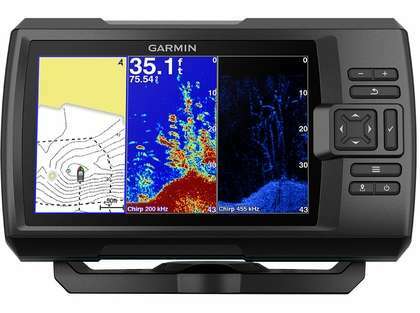 The STRIKER Plus 7cv fishfinder with a bright 7” display and built-in GPS features Quickdraw Contours map drawing software, which stores up to 2 million acres of content with 1’ contours. 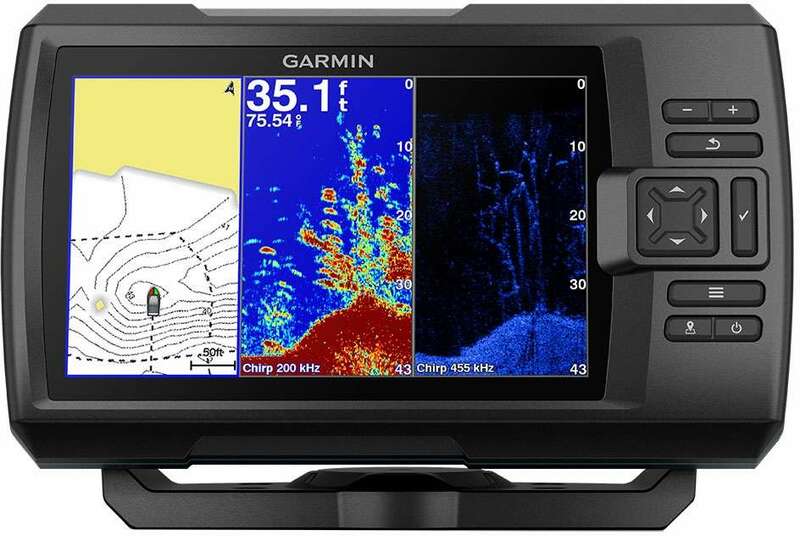 Garmin CHIRP traditional sonar provides remarkable target separation, and Garmin CHIRP ClearVü™ scanning sonar shows nearly photographic images of what passes below your boat. Use built-in Wi-Fi to pair with the ActiveCaptain app for smart notifications¹, access to Quickdraw Contours Community data and more. STRIKER Plus 7cv features built-in Wi-Fi, so you can pair with the free, all-in-one ActiveCaptain app. Once paired, you can get smart notifications¹ right on your screen. You can also access the Quickdraw Contours Community to share some of your new maps or download new data from the community. You’ll even be able to get update notifications for your fishfinder using the Wi-Fi connection and the ActiveCaptain app.